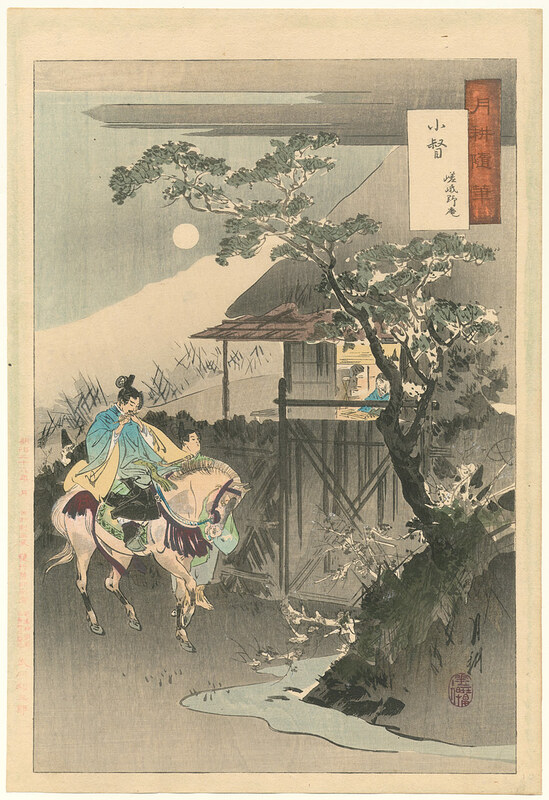 Comment Koga no Tsubone was a favorite of Emperor Takakura. His wife Kenreimonin who was jealous, asked her father Taira Kiyomori to have Koga poisoned. Koga fled to the country, where she was eventually found by Minamoto Nakakuni who recognized the sound of her koto playing.